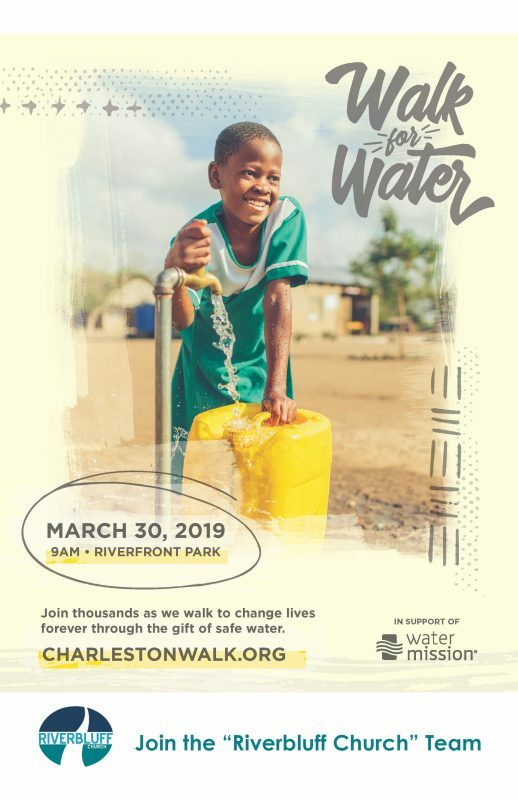 Join Charleston to rally together to give hope to those who lack access to safe water. It’s more than a Walk. It’s an event that will change lives around the world forever through the gift of safe water. Join thousands as we walk so others won’t have to. Register at www.watermission.org and join the Riverbluff Team. For more information, contact Guy Smith at gsmith@riverbluff.org or 843.266.6328.